Stop the world, I want to get off, OR Stop the bus, I want to get ON? 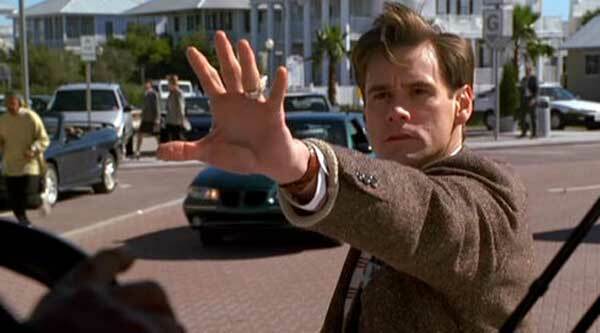 Jim Carrey is overdue being lauded as one of the Great American Actors. THE TRUMAN SHOW is his calling card into that exclusive club. Written by Andrew Niccol (GATTACA, 1997) in an audacious fit of prescience, Truman Burbank (Carrey) is an unsuspecting pawn in the most ambitious reality show ever conceived, THE TRUMAN SHOW: while the world watches, a city-sized community of actors creates the town of Seahaven for one unsuspecting protagonist, Truman, who was raised from birth in this massive thunderdome, where even the weather and the sky, the sun and moon are computer programs. We enter the story when Truman is 30, ambivalently married to Meryl (Laura Linney), downing the occasional brewski with best friend Marlon (Noah Emmerich), and cruising listlessly through his unrewarding insurance job. One million hidden cameras broadcast his every move. He might have continued the LEAVE IT TO BEAVER lifestyle till his death were it not for a few technical glitches that allow him to discover that his reality is someone else’s fiction – that he is the unwitting star of an intricately complex microcosm of the real world. And therein lies the hook of THE TRUMAN SHOW. Directed by Peter Weir (GALLIPOLI, 1981, DEAD POET’S SOCIETY, 1989), this movie poses the ultimate question, “Is Reality what we perceive it to be?” Long have we stood solid on the credos, “Seeing is believing” and “Perception is reality” but this movie proves the fragility of those precepts. We perceive all our “realities” through points of reference – we are told this is the sky, the sun, the city, we are told a day is 24 hours long (from an arbitrary measurement which is not entirely accurate); we have agreed on the nature of things (truth, murder, war, dishonesty) and though we think that all we see is “real” and all we feel is untampered emotions, the media, through unreliable sources (television news reports, tabloids, governments) force our perception through a common strainer, molding reality to their ends. This movie is also testament that the inquiring mind cannot be contained no matter the inculcation. Truman wants to discover new horizons; to think outside his box. When he realizes he is being watched, it inspires him to get to the bottom of the mystery. 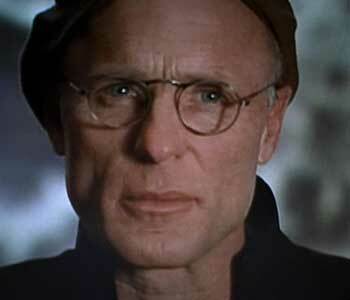 Did Ancient Aliens know Ed Harris was a god? We see outside the prison, beyond the dome, to creator of THE TRUMAN SHOW, Christof (Ed Harris in a chilling rendition of a god complex – the name Christof is no accident), who provides flashbacks to Truman’s early years, including a chance meeting with a female extra, Lauren (Natascha McElhone). 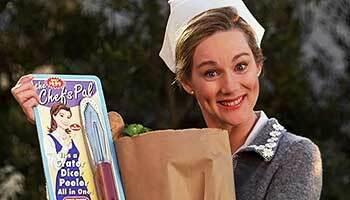 While Christof’s script called for Truman to meet and marry Meryl, he fell for Lauren. As Christof’s screenwriters scrambled to excise Lauren from the storyline of Truman’s life, his true emotions would lead him to forever pine for Lauren, going so far as to surreptitiously construct a composite picture of her face from magazine models. Look for Paul Giamatti, pre-awards, as the sympathetic Control Room Director and Harry Shearer, perfect as Christof’s interviewer. Brian Delate, who must be sick to death of people asking him, “Are you Charles Grodin?” plays Truman’s tragic father. Back in 1998, it may have been considered unlikely that the major players in Truman’s fantasy – his wife and best friend – would give up their own lives and aspirations to be a part of Truman’s fiction, but after the advent of execrable stupidities like WHO WANTS TO MARRY A MILLIONAIRE? (2000) or THE BACHELOR (2002), it has become somewhat acceptable on TV for ignorant gits to sell their virginity, their trashy wives, their love handles, their very souls for monetary gain, infamy and exposure. Hollywood synergy (read as tacit plagiarism) also saw the 1999 release of a similar-themed, inferior “reality” movie, ED TV; whereas TRUMAN exposed numerous layers of hypocrisy in our society, ED TV was as thematically deep as a Slip-n-Slide. Eventually, Truman undergoes a reverse Copernican Revolution, where he discovers that the sun, moon and society itself really did revolve around him – and instead of finding fulfillment, discovers emptiness in being the center of the universe. Where blue-sky meets blue sky. 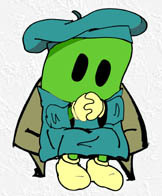 In the greatest irony of all, Truman tries to escape his Seahaven prison, knowing that after escaping into the REAL world, he would become an unknown; unlike all the drogues in the “reality” shows that would come on the heels of this movie, Truman wants to be just another face in the crowd, not singled out or made a fuss over – yet it was his drive and uniqueness that enabled him to see beyond his imprisonment and yearn for fulfillment in the first place. 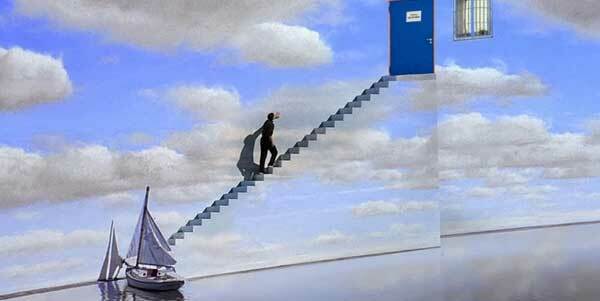 At times poignant, at times funny, always an undertone of darkness, THE TRUMAN SHOW is a metaphor for the pioneering spirit which cannot be contained; never more apparent than the final scenes where Truman pounds on the blue-sky wall as Burkhard Dallwitz‘s soundtrack swells to tear-welling proportions. The paradoxical and disturbing messages in this movie should be examined for decades to come. They should prove a dire warning to a culture slipping into torpidity. Instead, the voyeuristic aspect of THE TRUMAN SHOW has been catapulted to brain-leaching proportions by a society that would more readily watch “reality” than live it. Starring: Jim Carrey, Laura Linney, Ed Harris, Paul Giamatti, Harry Shearer, Noah Emmerich, Natascha McElhone, Holland Taylor, Brian Delate, Blair Slater, Peter Krause, Heidi Schanz, Ron Taylor, Don Taylor.